Orange Coast Women’s Medical Group’s OBGYNs and Certified Nurse Midwives deliver at The Women’s Hospital at MemorialCare Saddleback Medical Center in Laguna Hills. 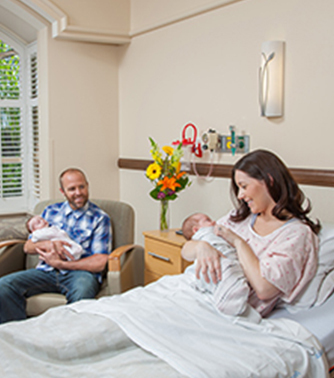 As the birthplace of more than 75,000 babies, The Women’s Hospital provides everything you need to make your birthing experience a memory to cherish. The hospital’s newly renovated, private labor, delivery, recovery and post-partum (LDRP) suites are designed to provide a calm, nurturing environment where you, your baby and family can bond. Highlights include: free parking, lavender towel service, daily fresh baked cookies, a Jacuzzi tub and a fold-out bed for your partner. Birthing resources are available, including peanut balls and rocking chairs to encourage mobility during labor. The hospital offers on-site obstetricians and anesthesiologists available 24/7. Caring and passionate labor, delivery and postpartum nurses provide 24/7 support and guidance throughout your journey. Also, a specialized on-site lactation nurse will come to your room to assist with breastfeeding support. While we plan for perfect deliveries and healthy babies, the hospital has an on-site Neonatal Intensive Care Unit (NICU) and an expert team – including an on-site neonatologist available 24/7 – dedicated to caring for ill or premature infants. This special unit gives you peace of mind knowing that, should the need arise, immediate, advanced care for your newborn is available all under one roof. To help you plan for your new arrival, there is a wide range of childbirth education classes available. To view a full list of classes, visit memorialcare.org/sbbabyclasses. We know how important your moment and your little miracle is, and we want you to have the utmost confidence in where your baby will have its first glimpse of the world. Tour the private maternity and baby suites and get a sneak peek of all of the wonderful amenities. Visit memorialcare.org/sbbabytours to register. Click here to watch a virtual tour. 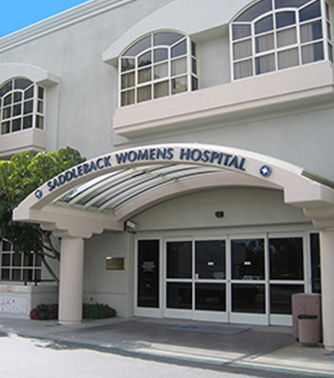 Click here for more information about The Women’s Hospital at MemorialCare Saddleback Medical Center.